This newly constructed (2002) three star*** hotel is located on the southern most tip of the Istrian Peninsula, in the heart of the renowned Medulin Summer resort area. 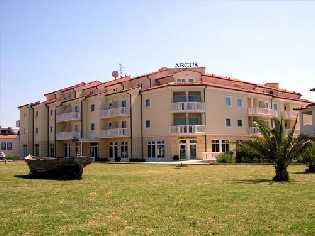 Hotel "Arcus Residence" is located in a quiet setting immediately by the seaside. 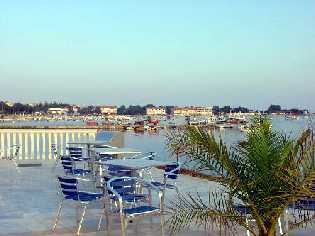 The seaside promenade, by which the hotel is sited, leads to the nearby town center and is appropriate for romantic strolls, skating and recreational bike riding. Numerous sporting, recreational and wellness opportunities can be found in the immediate vicinity as well as within the hotel itself. The hotel is specially adapted to accommodate disabled persons and is ideal for accommodating a wide range of functions, including: seminars, conferencing, work shops, presentations. Fantastic sandy beaches can be found within 800 m near the Medulin auto camp. Pebble and stone beaches, just the way nature created them, can be found on the peninsula opposite the hotel. Guests are conveyed to the beaches by boat. Here you can participate in all types of water sports or beach volleyball. A scuba diving school, tennis courts and mini golf can be found nearby as well. Relax on the large sunny café bar terrace in the magnificent view to the sea or simply refresh yourself after a hot summer day with chilled drinks. Experience fantastic sunsets on the dance floor of the cocktail bar terrace and entertain yourself late into the night to exotic cocktails and fiery music or simply just enjoy the flair of the night. Wellness & Beauty Center – Clinic "Renovo"
Hotel Arcus Residence offers 86 modernly furbished holiday units on three levels (62 double-bed, 18 single-bed, 4 triple-bed rooms and 2 apartments for 2 to 3 persons). Spacious and luxuriously furnished rooms ensure the highest levels of comfort and relaxation. Each room has a terrace or balcony with a view to the sea or town center. All rooms are equipped with shower and toilet, air conditioning, telephone, sat TV, Internet connection, safe, mini bar and hair dryer. Apartments are additionally equipped with a kitchenette, refrigerator and corner seating suite. Room service is available 24 hours a day. 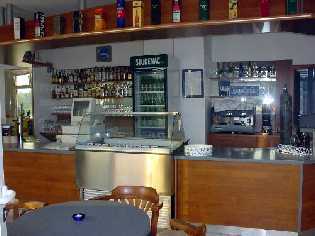 Breakfast or Half Pension with smorgasbord for breakfast and choice of menus for dinner including a salad and desert bar. 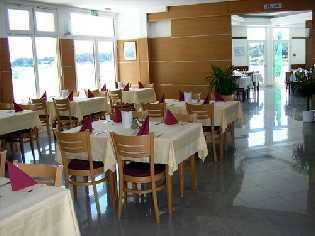 A la carte meals can be ordered in the a la carte restaurant. 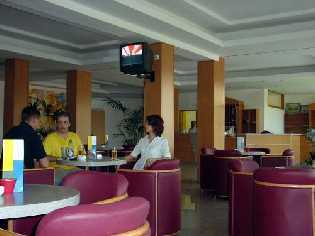 This fully air conditioned hotel is distinguished by modern décor and spaciousness. Guest parking is located in front of the hotel and in the underground garage. The hotel includes a reception area, shop, art gallery, conference hall, policlinic, beauty and wellness center with cosmetic salon, fitness facility, sauna, massage parlour, solarium, and enclosed swimming pool with heated sea water. The hotel also offers a variety of tours and animation programs. 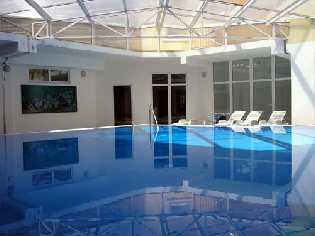 The entire hotel is built to meet the requirements of disabled persons, including a lift and wheelchair access. Small house pets are welcome. per person per day 01.01.-23.05.